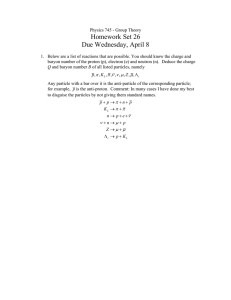 results of the uniform distribution of particles. ﬁve workers at the Hoeganaes Corp. facility in Gallatin, Tennessee. E-mail address: [email protected] (A.K. Poorfar). 0950-4230/© 2016 Elsevier Ltd. All rights reserved. probability of occurrence of such events in the future. product, iron oxide, remains in the condensed phase. quenching distance in the narrow channel are determined. 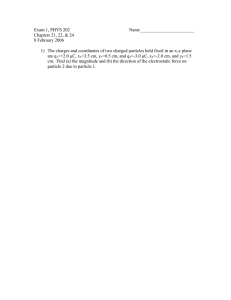 obtained by solving a set of scalar, ordinary differential equations. to be uniformly dispersed in air as shown schematically in Fig. 1.
medium (Bidabadi et al., 2013). 2. No oxide layer surrounds the iron particles. 3. 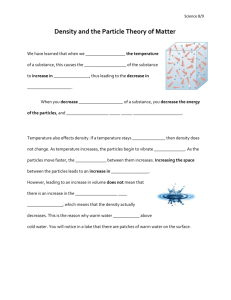 The thermal properties of the medium and particles are independent of temperature. (burned particles), layer n (burning particles), and layer n þ 1 (preheating particles). 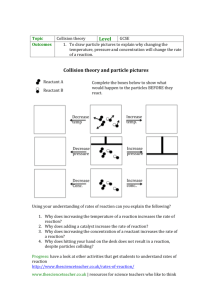 particles have a single temperature (Bidabadi and Maﬁ, 2012). 7. The micron sized iron particle is assumed to burn in a diffusioncontrolled regime (Bidabadi and Maﬁ, 2012, 2013), corresponding to inﬁnitely fast reaction rate relatively to diffusion. 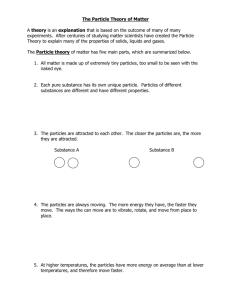 the solutions for all burning and burned particles which is presented in equation (8). ignition times in the discrete domain (Goroshin et al., 1998). presented by Dirac delta function in the present paper. ignite ﬁrst layer and d(t) is the Dirac delta function. layers, in addition to the ignition system. distance can be more realistic. are randomly distributed, generating a dust cloud with N particles. equations used in the case of uniformly distributed particles. Fig. 2. Flowchart for calculating the ignition time of iron particles. 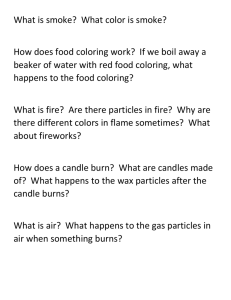 particles ignite when their temperature reach the ignition point. width is deﬁned as equal to/or less than the quenching distance. positioned at the origin of the local coordinate system. 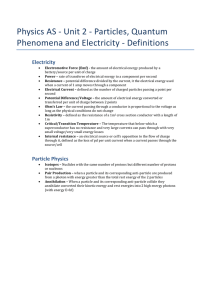 Thermo-physical properties of iron particles and air used in calculations. algebraic sum of the temperatures of all the heat sinks and sources. overall concentration and the total number of particles. from the experimental results at low concentrations. 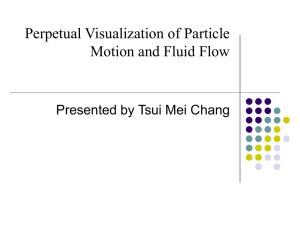 experimental ﬁndings (Tang et al., 2009a,b). required to ignite the mixture should increase nearly linearly. values of b: a) b ¼ 0.9, b) b ¼ 0.64, c) b ¼ 0.32. Fig. 5. Flame propagation speed as a function of dust concentration for different particle diameters for the uniform and random distribution of particles for T∞ ¼ 300 K, P ¼ 101 kpa. Fig. 6. Flame propagation speed as a function of particles diameter for a rich mixture, with 4 ¼ 1.63, T∞ ¼ 300 K, P ¼ 101 kpa. Fig. 7. Minimum ignition energy as a function of particles diameter for 4 ¼ 1, T∞ ¼ 300 K, P ¼ 101 kpa and uniform particle distribution. was validated by the experimental data for two different iron particle diameters reported by Mamen (2006). increased and the quenching distance becomes narrower. Fig. 8. Minimum ignition energy as a function of equivalence ratio for dp ¼ 10 mm, T∞ ¼ 300 K, P ¼ 101 kpa and uniform distribution. Fig. 9. Experimental validation of the quenching distance of various iron particle diameter for 4 ¼ 1, T∞ ¼ 300 K, P ¼ 101 kpa. Fig. 10. Quenching distance of 9 mm iron particles as a function of dust concentration in T∞ ¼ 300 K, P ¼ 101 kpa. behavior of experimental data with both diameter and concentrations rather well. control. J. Hazard. Mater. 140, 7e44. combustion of metallic nanoparticles: new possibilities for an alternative energy carrier. J. Energy Resour. Technol. 129, 29e32. Propagation. Department of Mechanical Engineering, McGill University. micro-iron dust cloud. J. Hazard. Mater. 176, 146e153. J. Mech. Eng. Sci. 227 (5), 1006e1021. time of a single iron particle. Int. J. Therm. Sci. 65, 136e147. ﬂames in narrow channels. J. Loss Prev. Process Ind. 26, 172e176. 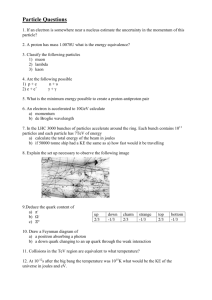 propagation in mixtures of gas and particles. Proc. Combust. Inst. 28, 815e822. Incropera, F., DeWitt, D., 2002. Fundamentals of Heat and Mass Transfer, ﬁfth ed. John Wiley & Sons, New York. Mukasyan, A., Hwang, S., Sytchev, A., Rogachev, A., Merzhanov, A., Varma, A., 1996. Combustion wave microstructure in heterogeneous gasless systems. Combust. in dust clouds. J. Loss Prev. Process Ind. 19, 104e120. Sun, J.H., Dobashi, R., Hirano, T., 1990. Combustion behavior of iron particles suspended in air. Combust. Sci. Technol. 150, 99e114. on Combustion. Elsevier, pp. 2405e2411. clouds. J. Loss Prev. Process Ind. 19, 135e141. in iron dust clouds. Proc. Combust. Inst. 32, 1905e1912. 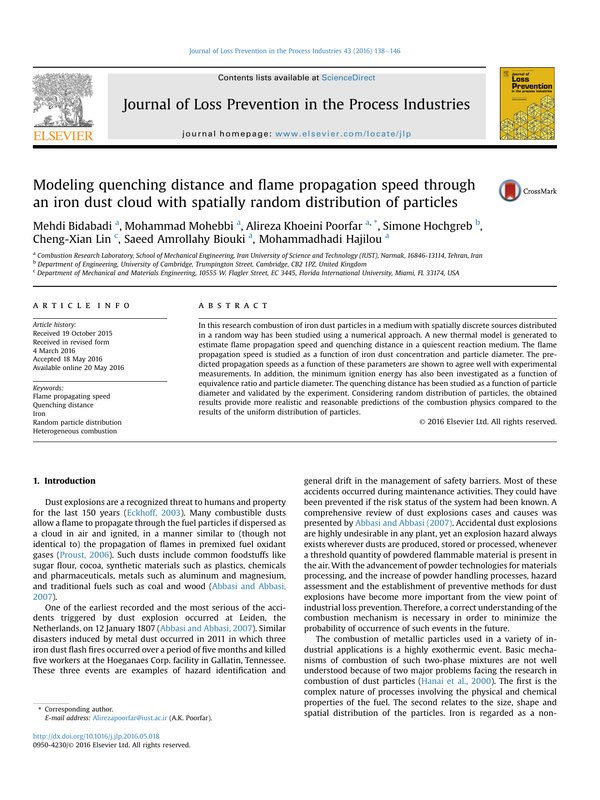 ﬂames: propagation limits in regular and random particle arrays. Combust.